DUBUQUE, IA – It was a chance meeting. Two educators, from two very different worlds crossed paths in Dubuque – and the result is a bond that’s as strong as family ties. Don Koppes and Argaw Orem are all smiles right before their charity, Friends of Homacho, distributes educational supplies to children in Orem’s native village. 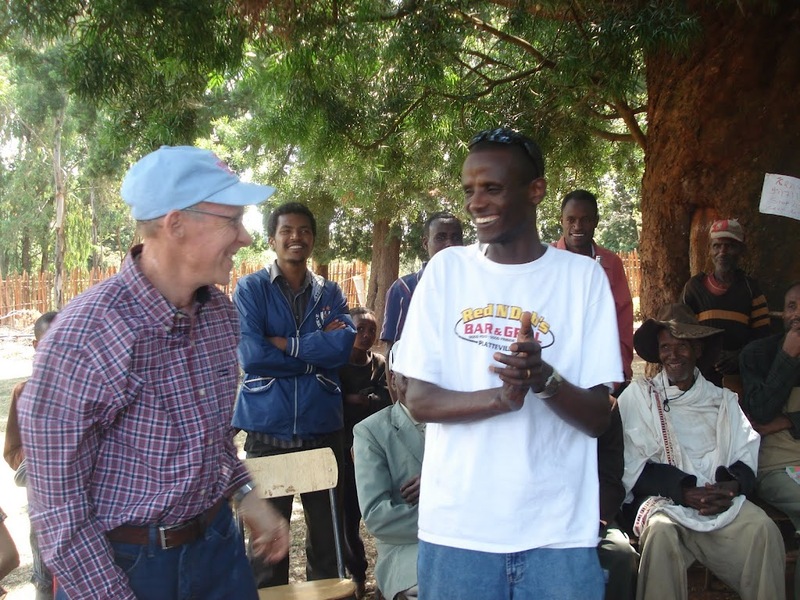 While teaching third grade in Ethiopia, Argaw Orem received word that he had won a lottery through the US Embassay. This lottery allowed Orem to immigrate to the United States, where he would work to provide for his family back home. “Seperate with family , seperating with family it was very difficult,” said Orem. Soon after, the Koppes’ traveled with Orem back to Ethiopia where his “two families” finally met. “I felt like I had gone home. I just felt such an immediate connection because the people were so open,” expressed Koppes. 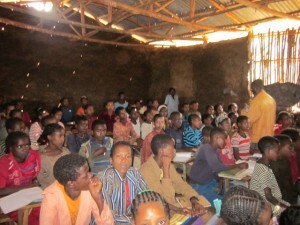 One-room school in the village of Homacho, Ethiopia. The experience sparked a dream for these two educators…the Friends of Homacho charity. The charity’s initial goal was to provide resources and educational supplies…but they saw a unique opportunity to build a stronger educational foundation for the village. “There is no pre-school and there is no kindergarten, students do not start school until age 7,” explained Koppes. The Friends of Homacho is currently looking to purchase land for the village’s first ever preschool and kindergarten – and that’s just the miracle this village has been waiting for. “People pray for miracles every day,” said Koppes. And this one, with the help of the Koppes, just might come true.